Scariest words I ever heard, “I followed Stacie’s example instead of the instructions.” Giggle! That is super cute! 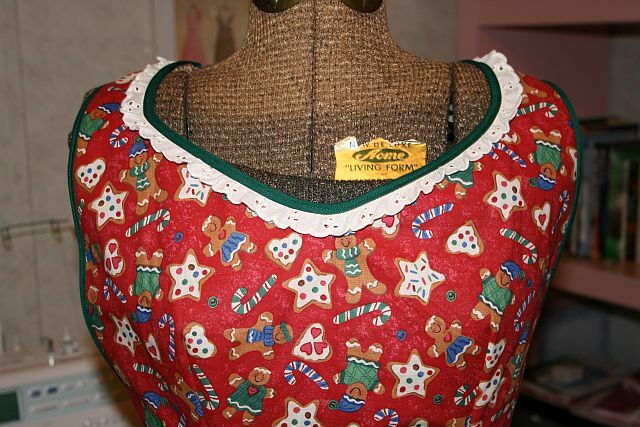 Now I want to make another one for Christmas. I love that book. You are a hoot! Loving that book, too! Next aprons I’m making from “One Yard Wonders” will be the toddler one and the art teacher apron/tote from laminated cotton…… I have a sister who teaches art and she has a baby girl. 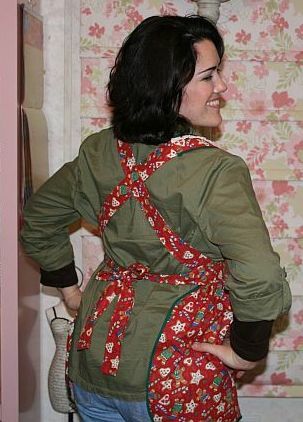 I love that apron. 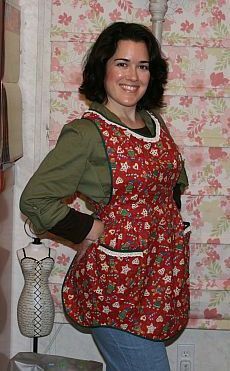 Last time I had friends over for dinner, I was wearing an apron that my Mom used to wear. 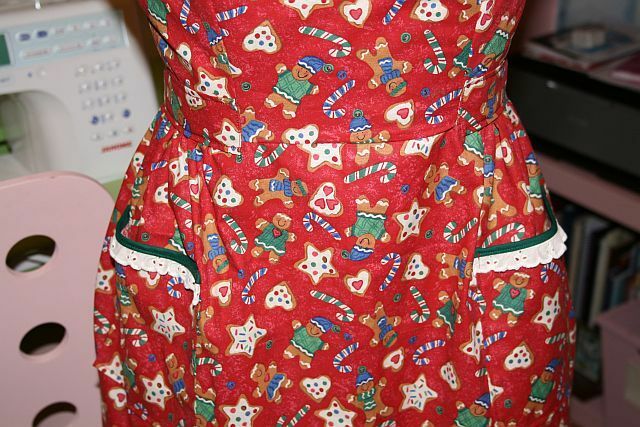 They were surprised that ANYONE used aprons anymore….but they were grinning when they said that…. Thank you for sharing! I love the detail with the lace and piping. Very pretty and something one of your grand children will fondly cherish. Bye, gotta go sew! Thanks for liking my apron! I ran a quick errand the other night and wore it to the store! I had just baked some brownies and I guess I was in the June Cleaver mood!